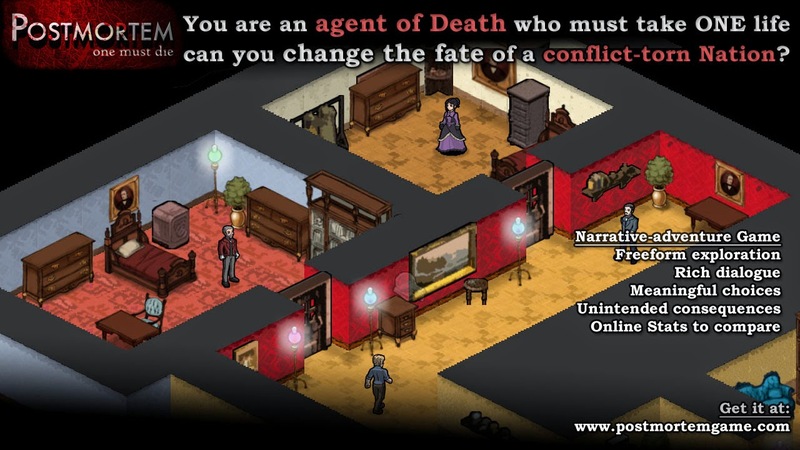 Developed and published by the indie entity Koobazaur, Post Mortem - One Must Die is a political narrative that sets the player in the role of an agent of death. The gamer is sent on a simple task, to choose the one person who will die before the night is over. The developer promises rich dialogue, meaningful choices and a plethora of other incentives that sound like fun, but is this title worth the effort? 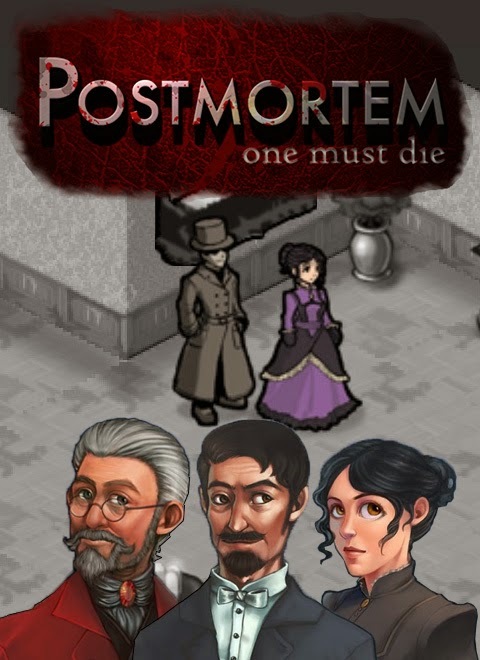 Quite possibly one of the shortest and most tediously dry games to come in recent years, Post Mortem - One Must Die can either be completed in a matter of seconds or minutes depending on how involved the player chooses to get. The game play is made up of long, dull dialogue that is found in the form of various news paper articles scattered around and extensive conversations carried out with the five characters of whom will ultimately end up the victim. However, no matter who the player chooses to kill the end screen is the same, with the same conversation choices and same character reactions; the only thing that changes is how long the war continues for. There's one small map to explore with the inclusion of a couple of side rooms that the player will need to gain access to by finding keys, which are not difficult to obtain. The rest of the time spent will be in engaging conversations with each of the five patrons attending a charity event that is to raise money for a school which was vandalized. The setting is in 1897 at a fictional location called Galicia, and the premise of the story involves a conflict between Newagers and Oldagers; the former are looking for a new way of life through the expansion of technology and culture while the latter intend to keep the same ways in which they are set in. 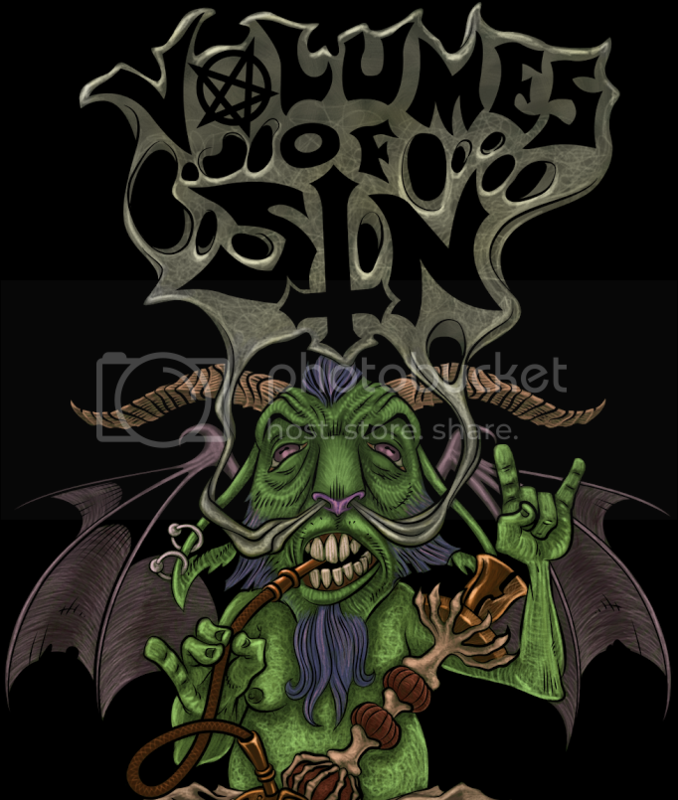 This conflict has aroused war and the player's decision of who will die will decide the fate of the nation. Unfortunately the dialogue and interactions are extremely uninteresting and pointless, there's also nothing from stopping the player from choosing who they want to kill right from the beginning; although it's expected that the audience will make a well educated decision based upon what they learn about each character as they converse with them. These character conversations are brutally long and the player will most likely find their interest fading less than half way through the discussions. Although Post Mortem - One Must Die has attempted something new in the world of gaming, the story that has been chosen is one that is immensely dull and unenjoyable. The only good aspects of this title are the art portraits, even the music is an infinite loop of classical string music that does happen to suit the atmosphere of the game. The steep price of $6.99 for a game that can be completed in a matter of seconds to just under an hour is quite honestly a joke, this title should be avoided at all cost; even in a bundle it's a wasted effort that could've been left for a better indie experience.